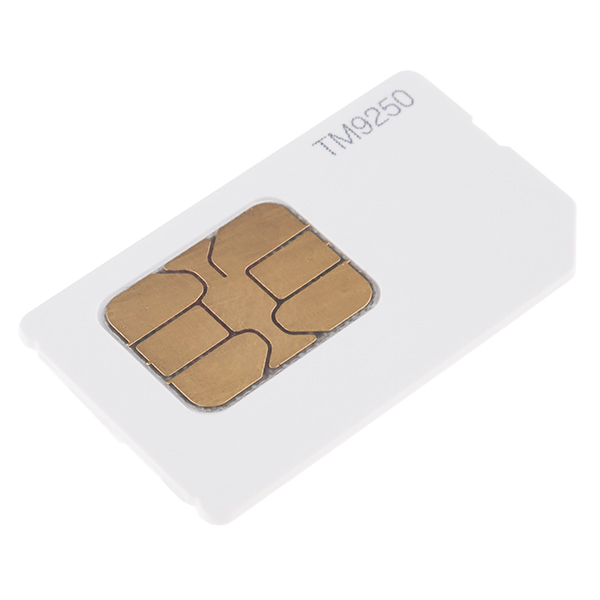 This is a standard sized SIM card with 6 months of unlimited data-only use. Service for this SIM card provided from T-Mobile through SparkFun and works in any T-Mobile coverage area in the world! No contract, no credit check, no strings attached. This card is specifically meant for M2M (machine to machine) communication. It is not intended to be used in phones, tablets, or hot spots and will not work in those devices. Compatibility will vary by device. You get 1GB per month at full LTE speeds (once that 1GB limit has been reached you will be throttled). Each card will have activation requested when it ships. Activation can take 1-3 business days to process through T-Mobile. To be completely honest with you, we are carrying this data-only SIM so that you can get up and running with your cellular development quickly and without having to go to your local phone store and try to explain why you need a data-only SIM for your tweeting cat door. Note: Your shipping confirmation email indicates the start of your 6 month time period. There are no additional charges or contracts associated with this product. Please contact Customer Service if you have any questions about adding another 6 months of data time to the end of your current service period. Does this card include unlimited SMS? I have a project but I require SMS versus Data. No, this card does not include any voice or SMS, only data. It might be worth checking to see about forwarding data to an SMS though. Our experience with these cards has been terrible. We've had 9 of them shipped to us so far and only 1 of them worked as advertised. SparkFun blames T-Mobile for activation issues, throws their hands up. Meanwhile we go without service. Do you have to replace it after six months, or can it be refilled online later for an additional 6 months at the same rate? If it can be refilled online without having to get another sim, then I am in. I use T-Mobile pre-pay for my voice (only) cell phone, and am very happy with it -- ends up costing me about $12/month as I buy $100 (USD) at a time, and they ding me $0.10 per minute or $0.25 per SMS sent/received (I do about 4 SMS/year). Anyway, I can see uses for this data-only SIM if (and only if) I can "recharge" it (preferably by going to a web site and providing payment with a CC, PayPal, etc.) without having to physically access the card. Please attach a link to the TERMS AND CONDITIONS! Since there is no contract there are no Terms and Conditions. We added a bit more info to the description including data use of 2GB per month at full LTE speeds (this may be slower in some countries based on T-Mobile's infrastructure), once that 2GB limit is reached your speed would be throttled but still able to be used. Use of a t-mobile SIM is absolutely subject to TERMS and CONDITIONS and using a t-mobile SIM makes you party to a contract with t-mobile. In the case of this SIM, the minimum term of the contract is probably six months(?). Based on comments below it may not have an right to automatically renew. All t-mobile TERMS and CONDITIONS I've read so far don't allow use of their SIM's for M2M communication and I'll bet this is why Piotr asked to see the T&C for this particular SIM -- and that's why I'd like to see them too. Does this mean I can use this card in Canada with no additional charges? I just assumed it was a US only thing. "Unlimited data" does not mean "Unlimited data at LTE speeds", as is mentioned above. "Unlimited data" means you can stream as much data as you wish, for 6 months, within the bandwidth limits of your device and the carrier's plan. Many plans, by T-Mobile and others, have "unlimited" usage, but it's usually for one month, and is $50 each month. So, six months for $80 isn't such a bad deal. I'm seriously considering getting one of these beasties for the USB dongle I use with my laptop. Another important caveat: T-Mobile in the United States does not, repeat not, support full LTE speeds or the advanced LTE protocol due to the fact that Verizon and AT&T gobbled up all the available LTE frequency bands here. The best you can hope for is HPDSA if your modem supports it, or EDGE (2G) if it doesn't. This is especially important if you purchase a "4G-LTE" modem from a source outside the U.S. as they will likely NOT support T-Mobile's HPDSA frequency bands. However, if you use a data-modem, and you are often abroad, (i.e. outside the U.S.), it might well be worth it since roaming charges are often horrid at best. Hi, slight corrections just so that people know what they are getting with these cards. There are many LTE bands, and while Verizon and AT&T own prime real estate, T-Mobile does have spectrum in multiple LTE bands. They use Band 4 (AWS), as well as Band 2 (PCS). They have recently acquired 700 MHz spectrum in Band 12, and have launched some phones that support that. T-Mobile does indeed have LTE service. They have not deployed LTE-Advanced, but neither have Verizon and AT&T (yet). In areas of poor coverage you will drop to some form of 3G HSPA/HSPA+ if your device supports it, just as you would on AT&T. (Note that both carriers call HSPA/HSPA+ "4G" for marketing purposes, which causes much confusion). I cannot say that T-Mobile's network is just as fast and robust as AT&T and Verizon. It's not. But their market niche is lower cost, often pre-paid service that works reasonably well. Exactly as offered by this SIM card. Konekt (www.konektdata.com) is offering a free trial (3-months) for their Global M2M SIM cards. They also provide a cloud infrastructure custom built for M2M applications. It allows you to securely store, access, and route your data for free. Definitely solves the problem of having to use pay as you go SIMs and cumbersome cloud applications to get up and running with a project. So when you say "any T-Mobile coverage area in the world! ", do you mean that I could get one of these in say, Australia, and they will work on providers that have roaming agreements with T-Mobile? That would be pretty awesome for access point if you travel allot. Data charges outside EU are horrific. I'm from Canada and I bought one, let's hope it does work here (the coverage map is pretty clear that we are covered by "service partner"). This seems too good to be true. It would effectively reduce my phone bill from $80 a month to $13 a month. Is this allowed? Could I just stick this in a phone and use data based voice/text (Hangouts)? It's data only. No voice service. Could definitely be a way. In my experience, using VOIP on a mobile data plan is pretty spotty. The latency is all over the map, causing funny problems with call quality and sometimes (often) dropped calls. Who knows? They didnt provide terms and conditions. Unlimited could mean 1GB LTE then the rest is served at EDGE speeds and if you really over do it then take GPRS. What data speed does this provide? LTE? HDSPA? I like the thought, but it would be nice if we could get a SIM card with minutes that don't expire. You would need to purchase new minutes once you have used them up of course. This card requires that you have an on-going project, but what if you pick up cellular projects every so often? OHoilett: T-Mobile offers a FREE 200mb a month data only plan in the US for when you are just tinkering with your on-going projects. The 200mb per month is actually enough for my project, which is just sending out GPS coordinates every 10 minutes. No voice or SMS, just data. All I did was buy a $10 data sim from T-Mobile and when activating it the free plan was the 4th option on the 'How Much Data do you Need?' page. It really is free and as far as I can tell, doesn't expire unless you don't use it for a while (3 months?). When did you do this? I can't find the 200mb plan you speak of. Did you purchase the SIM and activate at the same time? Just checked now, it's still available. Get up to 200MB free monthly 4G LTE data for as long as you own your tablet! Do I have to be on a plan or a contract in order to get the free data? In order to get the 200 MB of free data per month, you need to activate a Mobile Internet account and register your tablet on our network. You donât need to pay for an additional data plan. Make sure your select "Tablet and Mobile Internet Device" button! 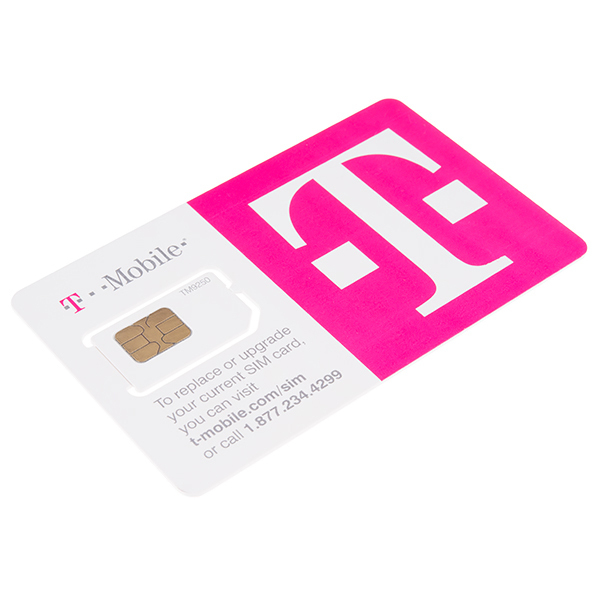 I haven't ordered one and tried it yet, but I talked to someone at T-Mobile and supposedly you can order this card http://prepaid-phones.t-mobile.com/tablets-and-devices/t-mobile-prepaid-mobile-internet-3-in-1-sim-kit and activate it at this website https://support.t-mobile.com/docs/DOC-9851. I was told that you can use up to 200 MB per month free (without a data pass) on this SIM for $0 per month. The SIM card costs $15 up-front. I'll try it out when I get my SIM800L module and report my results. This didn't work. I was able to get the SIM and get it registered, but I got a text saying "The plan for line 500 on your account includes unlimited 4G LTE data on-smartphone only . It also comes with up to 7GB of 4G LTE data for Smartphone Mobile HotSpot to share your phone's internet with other devices. T-Mobile's systems have detected that this line has again used methods that conceal Smartphone Mobile Hotspot usage and, as a result, significantly exceeded the 7GB limit on its plan. This activity violates our Terms and Conditions. To en force our Terms and Conditions and protect the network experience for all our customers, all lines on the account will be moved to our 1G B limited 4G LTE plan. Details at http://t-mo.co/1J4PUEh" So, I guess using a SIM800L with this card looks like I'm circumventing data usage protections. This is ironic, because I only need about 3-5 MB per month for my application. I just decided to switch to H2O wireless since they actually support what I want to do and it will cost $3.33 per month for up to 33 MB. ($10 for up to 100 MB for 90 days). Will work in any area of the UK or EU. It doesn't look like it work everywhere in the world. It's doesn't look like a good price, any prepaid card will give you better rate than this and the sim card won't be as expensive. Sorry, in EU. The thing is it costs 6 pounds a year to keep alive. So if I put 50 pounds on it I can place a temeparature monitor in Poland, and as long as it had power I would be able to communicate with it with simple messages for about 3 years. I think the application is very important. I get it, this product would be great for AcessPoint tethering if you travel allot, or even if its cheaper than you can get with any GSM provider in your country as Internet at home! The SIM card does not appear able to support a public IP. It worked to connect to the internet straight out of box, but not for the application I was interested in which requires a public IP for my computer to be able to connect to a remote datalogger via the cell modem. I spent a fair bit of time on the phone with T-Mobile but was unable to find anyone who was familiar with the term "public IP". Other carriers have this as a $5 add-on. That would make this card amazingly great. So these will work in Canada with no roaming issues or am I misunderstanding the comments here? I couldn't find anything conclusive on their website. In Russia we have similar m2m data-only SIM-cards with unlimited data traffic, claimed worldwide-roaming, but speed is limited to 4 kilobytes/second. The main difference is price: our SIM-cards are free (!) and require $1/month payment. So, this offer from T-Mobile seems very expensive. Will this work in a T-Mobile hotspot? Sparkfun technical support for this product is extremely difficult. I bought two SIM cards for use only with DATA in GPS tracking devices, and none of them worked. (it was tested on GPS tracking devices and also on an LG smartphone). I was in T-MOBILE store in Miami and informed me that the cards were not activated. I sent an email to Sparkfun and they report that everything is OK. In short, I will wait for the response to the new e-mail sent to sparkfun and if not resolved, I will request the cancellation and return of US$ 183.10 paid. Has any one conducted a speed test after the 1 GB point? You are talking about throttling after 1Gb. How much throtling are we talking about ? "Your remote project is now completely useless" throtling or "here, use full speed 3G instead of LTE " ? 1GB?? I remember seeing 2GB on this page last week! Since the card is meant for m2m, does anybody know if it provide a public accessible ip? The data plan on my phone only provide private ip...which cannot be reached by other machine. NOTE: I recently discovered that SIM only works on older Nexus 5. On newer versions it won't work. Since the Nexus 5 uses a micro SIM and this is a standard SIM, the first step is to cut it to size. Search online for a "micro SIM template", print it out at 1:1 scale then cut the SIM to size. Install the SIM into the phone. The phone will recognize that a new SIM has been installed and prompt you to restart. After the restart, your T-Mobile connection will be established. The phone connects automatically for the following APN: T-Mobile GPRS: fast.t-mobile.com. Since GPRS is 2G or 3G, maybe this is for data beyond the 1M limit??? I am using Google Hangouts for text and voice. Note: As these SIM Cards are pre-paid we cannot accept returns nor add service time at the end of a 6 month period. With reference to this comment, I understand that Sparkfun cannot add service time at the end of 6 months. However, is it possible for us to call T-Mobile to renew the 6-month service by paying the additional $80? I got my sim card. I'm Canadian so I was eager to try it from a different country. The only networks that seems to answer is Roger so I guess they are their service partner for the country. The speed isn't great, in fact it's pretty awful but for M2M I guess it's good enough (I wasn't able to do any speed test because of the awful speed but in total I did nearly 10 MB in 30 minutes, which is far from LTE but still totally reasonable for M2M). I got some SMS from T-Mobile, one of them contained a phone number associated to the sim card. I haven't try to call or send an SMS to it, neither did I tried to call or send an SMS from it. EDIT: I just did multiple speed test, it always start at around 0.05 Mbps but always finish with an average of 0.10 Mbps. The upload is similar. It means 80 seconds to do 1 MB which is not bad. There's a potential to do 30 GB per month which is way more than needed for most M2M system. The ping is at 150 ms.
EDIT #2: I tried to send an SMS and it was fine. Shouldn't it do an error or anything? I am looking for the exact oposit of this, I want a sim card with limited data, but an unlimited time to use it in. Any one know where to get one? See @tbitson's post about T-Mobile's free 200 MB/month plan. Essentially a totally free solution for low-transfer devices, no length limitation. So I received this sim card today. I'm not sure this meets "quickly" right now -- I gave up trying to make it work in an embedded device and stuck it in a mobile phone. YOu need to register with a "connect me" account with tmobile before the data works. And it requires that I enter the SSN of the primary account holder (sparkfun?!?!) completely blocked now, did I just purchase an $80 brick? Has anyone actually gotten packets to flow with this? Update: 40 minutes into calls with tmobile now. First try dead ended into them transfering me to the account rep for sparkfun, a person name Dina, who wasn't available. I left her a message. We'll see what happens. 2nd Try: They explained to me that the sim card I received was already setup on someones account, and I would need their social security number to proceed. 3rd try: 2nd level support. We are trying a hack where I use a different, inactivated sim card which I happen to have to create a connect me. Let's see... Nope, still unable to create a "connectme" tmobile account. 4th try: talking with prepaid.. let's see.. Nope, it's not a prepaid account, it's a business account. However, we did try to register a connect me account while on the phone. [redacted by editor] However, I was still unable to create an account. 5th try: Business account: You can't use "connect me" with a business sim card, which this is. However the reason why I'm having problems is that this SIM is provisioned as a data only sim, and is prohibited from functioning in any normal cellphone (or any device which can make or receive calls). I'm tossing in the towel, 1 hour in and not a single packet. I'm so sorry to hear about the trouble that you have run into. I want to assure you that we will be happy to help you with this issue. You aren't stuck with an $80 brick. Please contact us at techsupport@sparkfun.com and we'll be happy to help. One of our technicians is testing a card now to see if we run into the same issues. This seems out of the ordinary as compared to the expected operation. Ok, I've made a bit of progress. First of all, this is a "HOTSPOT" sim card. It will not function on any device capable of making or receiving calls. How tmobile figures that out is unknown, but customer care says it's based on IMEI mapping. Despite what they claim, it is only full speed unlimited data for the first ONE gigabyte of transfer, not two. It is capable of LTE speeds, here in seattle I can get about 30mbit down and about 20 mbit up according to speed tests. The plan name is "BIZ SC MI 1GB", and it is blocked from additional data being added to it on my.tmobile.com. It reportedly costs sparkfun $20/month for this service. I understand that this SIM card is for data only and not cell calls. Does anyone happen to know if this SIM card will work in a WiFi Hotspot or a phone with HotSpot capability to provide internet service to other devices via WiFi? Would someone who ordered this SIM dare post screen shot of speedtest.net? That would be most helpful! Then we really need to clarify the 2G thing -- is it per month meaning it will reset every month back to zero or is it 2G aggregate for the duration of this 6 month SIM ride? The description clearly say 2 GB LTE per month. After this is throttle to a lower speed (I'm curious to know the speed). As soon as I receive it I will clearly do a speed test but I'm in Canada so it will be on one of their "service partner", which probably won't be on LTE. I use this plan, http://www.embeddedworks.net/wsim665.html, but I'm going to look into the one that tbitson mentions below. Could be very handy. works in any T-Mobile coverage area in the world! Do keep in mind that the 6-month period starts when they ship it - if shipping to your country takes 4 weeks, that's down to 5 months of use; getting it faster means paying more on shipping. It's still a good deal, but it may not be for everyone. Do you have the APN for this card? It'd be interesting to plunder it from project use occasionally to try in my MiFi device when I'm travelling internationally... Save money on having to get a SIM for the Mifi just for that. My company connects to T-Mobile through a third party M2M data provider, and we have to certify to this third party that we are only using PTCRB certified hardware. What are the appropriate APN settings for this card? is it m2m.t-mobile.com, fast.t-mobile.com, epc.tmobile.com? Don't know what the "official" APN to use is ... SparkFun? Haven't tried any speedtest.net, but probably I couldn't help answer what T-Mobile 4G really is, since I don't have a 4G/LTE device (modem, router, etc), and I'm not sure what T-Mobile actually advertises in this coverage area. At least around here that tends to be the carrier's fine print. You do get unlimited data, but only 2BG at high speed. After that the data is throttled. If you are just sending out text strings every 10 minutes the speed doesn't matter, for many (possibly most) DIY projects you won't know the difference. Thank you SparkFun and TMobile! ... Just ordered one. I have soooo many projects that need wireless (cellular) remote data transfer, but they're low volume (100s of units), low-priced ($100s devices), low data volume (<50MB) and speed requirements... hard to justify the cellular data transfer when the cost of comms.hardware is 10x more than the cost of the device itself, and then to add $50/month service per device ... I can't sell that. Looking at your available cellular module SM5100B and BoB too pricey at ~$120 and from comments seems a bit iffy. Why can't there be an offering in the $50 range, small, simple, and stable availability (10+ year lifecycle). And then add a reasonably priced (<$10/mon) service plan from the carrier (T-Mobile/ AT&T / VZW) ... only need 3G or less speeds, and low volume (<50 MB per month) ... why pay for 10GB??? $50/mon? I feel your pain. I found this security sim card which, if you use allot of data might be not the great thing. But for IoT this might be good. http://www.quicksafe.co.uk/security-sim-cards-c32/text-call-security-sim-card-unique-email-feature-p41 - Also I found this, SIM900A GPRS board, that also can be used as a positioning system with 100-10metre accuracy based on triangualtion :) Otherwords, free GPS. Text messages and simple UART /SPI interface, I found one for 20GBP from Persia or something. Make sure the base band is 900/1800 cause some cheap ones only work in China, doh! "Wow ", is this the best deal they could give you? I mean, for remote applications that want to stream large amounts of data it might be OK, but still, "unlimited" is limited to something in the terms and conditions. There are SIM's that you pay 25USD/20GBP for, top up 5 bux, and it works anywhere in EU, on any GSM, for fixed price per kb, or fixed price per sms, can be GPRS/3G/LTE, and credit never expires. So, really this not a great deal for long term remote data access. Maybe in UK but here in North-America you don't get much for 25$ a month. You can see by yourself on the T-Mobile website, it's 80$ a month for an unlimited sim card (it does include SMS and call but we both know that you pay less than 30$ for the same in EU). Does unlimited data include SMS? You could always use an SMS gateway via WebService if it didnt. Or sparkfun could attach terms and conditions link for this SIM and we would know exactly what unlimited means. Although there is a phone number that gets associated with the card, this is only important as a source or destination of SMS (text) messages. There is NO voice service using these cards. Although I initially used one in an old phone which supported hotspot and tethering, the phone eventually freaked out and would no longer cooperate. This was the phones fault as the same SIM worked fine in the above mentioned mobile hotspots. I bought two M2M SIM for use with tracking devices. The SIM does not work on devices, (also did not work on the mobile phone), I attended the T-Mobile store in miami, US1, and the staff informed me that the SIM was not enabled and that I should contact SparkFun. Since then I have exchanged e-mails with the SparkFun, and SIM cards do not work! I would like to receive the $ 183.10 back, canceling the purchase. Hi, I'm sorry for the confusion and frustration. I checked over your order history and you have in fact been activated. I would like to take a second and explain. These are considered "machine to machine" sim cards. 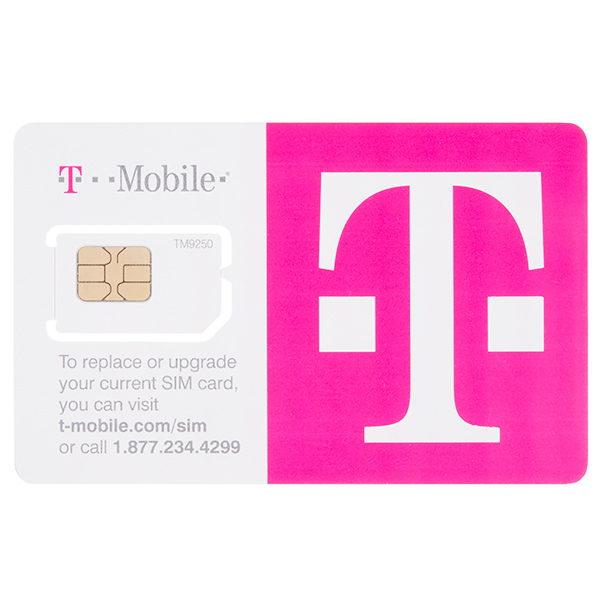 They are not your standard mobile sim like you would buy at the Tmobile store. We have found that they will work in some devices, however not all cellular devices will operate on this card. When a mobile device doesn't know how to operate using the sim, it will send you to an activation link or have you contact the Tmobile customer care to activate. This is a standard action of the phone and not of the SIM. Unfortunately this makes it appear that the card is not active. I would imagine you are using the cards in a device that can not accept a machine to machine sim. In that case, we would be more than happy to help you with a return on the purchase. I do apologize that the items did not work for your application. One more note on this subject. While these cards have been found to work in other countries, they may have troubles outside of the United States. We have had international customers respond with mixed success. I tried this in a Samsung Hot Spot Pro (V100T) and it didn't work; I talked with my brother who works at T-Mobile and he said this kind of SIM might not work in some devices. So I sold that on eBay and bought a Fona from Adafruit. It works great with that board! I setup Internet on my RPi and can also make calls and send SMS messages! Works great! Frankly, I'd like my money back. The SIM card didn't worked. Hi, our records show that your card was activated and issued a valid phone numbers. For more information on what might be going wrong, please see my comments below in Member 641785's review. I am contacting you directly to discuss your issue. Thank! Was very straight forward. Just plug in and go. No set up required. I'm on my second card and it has consistently worked great! 4G is excellent in NYC. I am rating 4 stars because I wish there was a better option for purchasing the service on an ongoing basis rather than buying a new card every 6 months. Both cards I purchased took at least a week for delivery to the east coast. It would arrive in 3 days via standard USPS first class mail in a regular envelope. Used for 1 month and ticked ~678MB so far on the SIM. Other than the usual T-Mobile coverage shortage, this is by far the best data sim to get. Just want to know how to manually extend the service beyond 6 months by user. To extend your service, please contact the Sparkfun customer support team. They can help you with this. Please do not contact Tmobile, they will not be able to assist you. Easy to make work! But don't expect miracles. Pros: after a small cut here, and a small cut there.. i popped this into a spare Samsung S4 i had laying around to give it a trial run. After a few APN settings i was good as gold! Overall: I'm in canada, maybe that's the issue with the speeds. if you're looking to use this to replace your crappy data plan, don't waste the time or money... item also took close to 3 weeks to arrive. I'm impressed it worked in the S4. These are Machine to Machine, not device to device cards, so the speed issue may be a bit of incompatibility with the SIM as they aren't intended to be used in a phone. I purchased the SIM for a streaming video camera that is operated from outdoors. No problems at all.Obtains reception moments after turning on. You just install the Sim (it does come in Micro Popout!) and it just works. No activation procedure or anything - just put it in and start using the data. It's on T-Mobile so coverage and speed are pretty good! For machine to machine data I have been using the Adafruit Fona. This is the perfect SIM card for the application. The card fits right into the Fona; there is no need for an adapter. The phone number ends up with a Denver area code. Its sad to hear that you have discontinued this product. It was extremely useful for canadian users as Canadian mobile companies boost up their data prices for no reason.. I fairly disappointed with the discontinuation of this program.. This was the only product that I liked about spark fun..